"It is important to recognise that just because we have militarily and materially invested in the Siachen region over the years or incur lower casualties than Pakistan, it does not provide us with a strategically sound rationale to continue stationing troops there, only to keep losing them year after year." The deadly Siachen avalanche that claimed nine lives on February 3, and many hundreds since the Indian military occupation of the Saltoro Ridge in 1984, does not seem to have convinced Defence Minister Manohar Parrikar to order troop withdrawal from the glacier. While responding to the tragedy, he stated: “The decision on Siachen is based on the security of the nation. I am disturbed by the loss of life but I think that due to this, some other solution [withdrawal] would not be the proper analysis.” How well-thought-out is Mr. Parrikar’s argument? Does the Siachen glacier offer such irrefutable strategic advantage vis-à-vis Pakistan or China that we need to continue to sacrifice young lives year after year? KABUL, Afghanistan — The United States Army will deploy hundreds of soldiers to the southern Afghan province of Helmand, where government forces have been pushed to the brink by Taliban militants, a military spokesman said Tuesday. It will be the largest deployment of American troops outside major bases in Afghanistan since the end of the NATO combat mission in 2014. 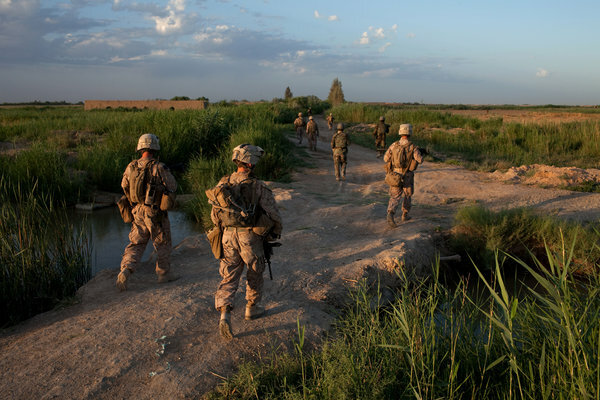 Though the military insists that the soldiers will not take active combat roles, American Special Operations forces have increasingly been drawn into the fighting in Helmand as one important district after another has fallen or been threatened by Taliban insurgents. Col. Michael T. Lawhorn, a spokesman for the United States military in Afghanistan, said in a statement that the new deployment would provide protection for the current Special Operations troops in Helmand and give extra support and training for the 215th Corps of the Afghan National Army. Afghan forces in Helmand have taken heavy casualties in recent months and have been cut off by the Taliban in many places. Despite an ambitious increase in the FDI cap from 29% to 49%, Indian defence sector was not able to attract more than Rs.56 lakh as the FDI equity in flow during the period between October 2014 and September 2015. Some radical changes are expected to be made by defence ministry in its offsets policy, however, this year the industry is not just seeking funds but also in-depth R&D and access to latest technologies, as quick obsolescence of technology is sort of a default setting for a demanding sector like defence. 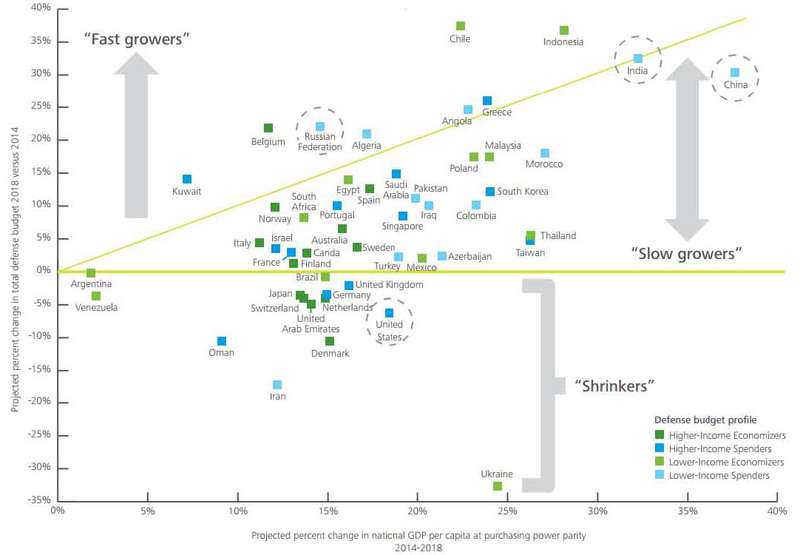 Lower-Income Spenders (LISs) are the nations with GDP below $20,000 and percentage of GDP allocation to defence above 2%. According to Deloitte’s Global Defence Outlook 2015 – Defence and Development report, an independent report, India falls under the slab of LISs and shows great promise as a ‘Fast grower’ in total defence budget 2018 versus 2014. *Deloitte analysed top 50 nations and categorized in its report as the Higher-Income (GDP per capita above $20,000) or the Lower-Income (GDP per capita below $20,000), and as a Spender (percentage of GDP that is allocated to the defence is above 2%) or an Economizer (below 2%). 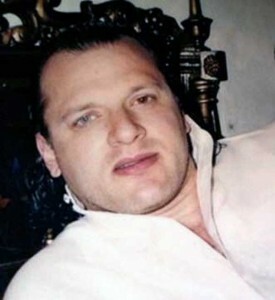 This time David Headley will matter! The deposition of David Headley in an Indian Court is a significant development in the context of construction of future narrative of jihadi terror orchestrated by Pakistan’s military-intelligence establishment. Notwithstanding the popular opinion that the revelations by David Headley have yielded no new facts, the details that have emerged from the deposition have major international ramifications. As far as opinion of Indian peoples is concerned, it is decidedly based on the culpability and hopelessness of a state called ‘Pakistan’. …this whole issue of ‘proofs’ and ‘evidences’ on terrorists attacks perpetrated by Pakistan is not for the consumption of Pakistan – it is primarily to corner the international community dominated by the US and its Western allies. The Indian Navy underlined its growing prowess at the International Fleet Review (IFR) 2016 last week. 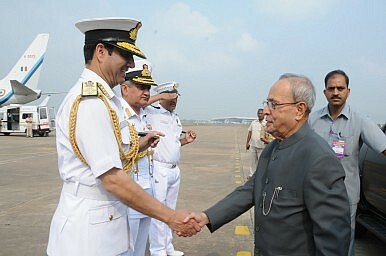 Though it was largely a ceremonial inspection of naval warships by the Indian president, it provided an opportunity to the Indian Navy to showcase its might and rapidly expanding capabilities. It was in 2001 that an event of such a scale was last held in India and since then the Indian Navy’s participating contingent has only grown bigger, with 75 frontline ships and submarines in attendance, in addition to 24 ships and delegations from over 50 nations including Australia, Bangladesh, Brazil, China, France, Indonesia, Iran, Maldives, the United Kingdom and the United States. Flagging the threat of sea-borne terror and piracy as two key challenges to maritime security and underlining the need to respect freedom of navigation against the backdrop of South China Sea dispute, Indian Prime Minister Narendra Modi declared during the IFR that India will be hosting the first-ever Global Maritime Summit in April. He made it clear that the Indian Ocean region remains his government’s priority given India’s 1,200 island territories, and its huge exclusive economic zone of 2.4 million sq km. He further underlined the Indian Ocean region’s role “as a strategic bridge with the nations in our immediate and extended maritime neighborhood.” Underlining the need for a “modern and multi-dimensional Navy,” Modi stressed that India would continue to actively pursue and promote its geopolitical, strategic, and economic interests on the seas, in particular the Indian Ocean. India’s Cabinet Committee of Security (CCS), a government body headed by Indian Prime Minister Narendra Modi and responsible for military procurements, is ready for a final vote on India-Israel defense contracts and projects totaling $3 billion, The Times of Indiareports. The three pacts “should be cleared by the CCS within a month or so,” according to a source within India’s Ministry of Defense. Prime Minister Narendra Modi will be visiting Israel for the first time later this year, at which time the final contracts ought to be ready for signature. 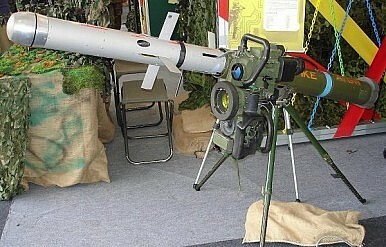 The three deals include the acquisition of 164 ‘Litening-4’ targeting pods–targeting designation tools used by ground-attack aircraft—for Indian Air Force fighter jets such as the Sukhoi-30MMKIs, and an undisclosed number of Spice 250 precision guided bombs with a standoff range of 100 kilometers (62 miles). Why Is ‘Clean India’ Losing Steam? Prime Minister Narendra Modi wants to see a cleanIndia. To fulfill this ambition, he has launched theSwatch Bharat (Clean India) mission, a supply-side initiative which, among things, plans to build 110 million toilets across India between 2014 and 2019. The underlying presumption is India has a large number of poor people who cannot afford to construct a toilet, and there is thus a need for government intervention. A year down the line and little has changed. 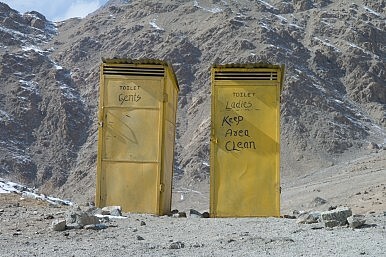 In spite of the government constructing 8 million toilets in 2015, worldwide, India still has the highest number of people defecating in the open, around 600 million. In a first ever scientific attempt we can determine why this is the case (for a detailed analysis, see Anurag Banerjee, Nilanjan Banik, and Ashvika Dalmia (2016), Demand for Household Sanitation: The Case of India, ARTNeT-UNESCAP Working Paper No. 154). Ranking the preference for having a toilet against 20 other consumer durables – cot, watch, mattress, chair, bicycle, table, electric fan, television, pressure cooker, radio, motorcycle, water pump, mobile telephone, sewing machine, refrigerator, tractor, animal drawn cart, thresher, and computer – toilets ranked a lowly 12 out of 21. A border that was a product colonial jealousy and insecurity, the Durand Line divided what can be claimed as one of the world’s largest ethnic tribes, the Pashtuns, into two separate nation-states, Afghanistan and Pakistan, where they compete for political prominence today. In the late 1880s, the Amir of Afghanistan, Abdur Rahman, started demanding a clear demarcated border with the government of British India that had ventured into the Afghan land two times only to be sent back terribly beaten. Aware of the Tsarist Russia’s moves in Central Asia, the British too understood the urgency of creating a buffer state out of a land that it knew it could control the least. Afghanistan, was thus meant to be carved as a buffer state; one that would have been a part of its sphere of influence, if not so much as its physical territory. As negotiations for demarcating were allowed to roll following the conclusion of the Second Anglo-Afghan war, the Amir while permitting the British to control Afghanistan’s foreign policy, in return demanded zero interference from the British in Afghanistan’s internal affairs. A clearly defined and well delineated border would have been an appropriate solution. However, ever since 1893 when the then Foreign Secretary of India, Sir Mortimer Durand, finalized an agreement defining the Indo-Afghan border, the Durand Line became a bone of contention between Afghanistan and British India, and much more so between Afghanistan and Pakistan after 1947. Is India Prepared to Prevent Sea-Borne Terrorist Infiltration? David Headley, Lashkar-e-Taiba’s American-born “scout” ahead of the devastating November 2008 terror attacks in Mumbai that claimed over 170 lives, testified before an Indian court on Monday via a video conference. Headley’s remarks before the court have received wide coverage in the international media and contained few surprising or new details. Headley’s testimony included references to the involvement of Pakistan’s Inter-Services Intelligence Directorate (ISI) in helping the Lashkar-e-Taiba terrorists infiltrate India to perpetrate the worst terror attack on Indian soil since the 2006 Mumbai train bombings. In the investigation into the terror attacks, one of the major revelations was that the 10 terrorists had entered India not by land, but using inflatable speed boats by sea. The first Indians the attackers confronted weren’t Coast Guard or Navy, but gormless fisherman, perplexed by a group of 10 strange Urdu-speaking men who’d just arrived by sea. 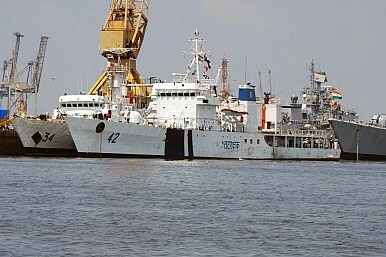 For the Indian Coast Guard, the events of November 2008 sparked an increased focus on coastal monitoring. The November 2008 attacks had shown that the sea remained a viable vector for terrorist entry into India. Indonesia sentenced seven men linked to the Islamic State in Iraq and Syria (ISIS) on Tuesday, marking the first time the world’s most populous Muslim-majority country has sent anyone to prison for associations with the terror group. Indonesia has been looking to crack down on ISIS since a bomb and gun attack in the capital Jakarta last month killed eight, including the four attackers themselves (See: “Islamic State Attack in Indonesia? A Look at the 2016 Jakarta Bombings”). The incident was the first ISIS attack in Southeast Asia and the first militant attack to hit Indonesia since twin hotel bombings in 2009 carried out by the Southeast Asian offshoot of Al-Qaeda, Jemaah Islamiyah. On Tuesday, the West Jakarta District Court sentenced four men to between three and four years in prison for traveling to Syria to join ISIS, while two others received similar sentences for aiding them. The seventh received a five year sentence for spreading ISIS propaganda. Dr Tsai Ing-wen won Taiwan’s presidential election on 16 January 2016 – her pro-independence Democratic Progressive Party (DPP) defeated the ruling Nationalist Party/Kuomintang (KMT) and captured the majority in the legislative body for the first time in Taiwan’s history. Tsai, the first female head of state in the Chinese-speaking world, referred to as Taiwan’s Angela Merkel for her sharp reason and determination, must recalibrate Taiwan’s economy and avoid colliding with China on sensitive issues. 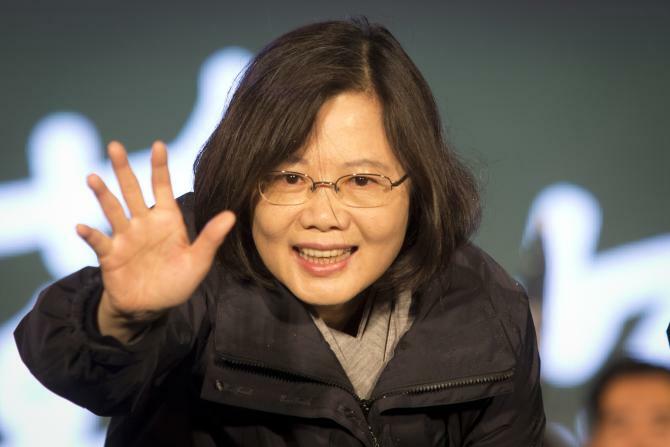 She is expected to encounter an array of difficult challenges in cross-straits and foreign relations that may be determined by how Tsai handles the intricate and delicate aspects of the 1992 Consensus. The more grueling test awaiting Tsai is Taiwan’s petrified economy with its systematic malfunctions that has become an impediment for the pursuit of any meaningful growth. It was always a ridiculous contention, and it seems even less reasonable now. Not even a year ago, consensus thinking saw China’s yuan on the verge of replacing the dollar as the world’s premier reserve currency. Now the flood of funds out of China, and the yuan’s declining value, have stifled all such talk and even such thinking. No doubt circumstances will continue along current lines for a while to come. Still, today’s negative attitudes are setting the stage for a rebirth of pro-yuan speculation, perhaps pretty soon. It will be wrong again. When the pro-yuan thinking was at its height last spring, it looked as though the currency had support from all quarters. China’s economy seemed to be doing reasonably well, though growing at a much slower pace than previously. Beijing was also making headlines with its efforts to give the yuan a more prominent international role. To argue the other side of the question, that the dollar was not quite so vulnerable, took a disciplined analysis of the fundamentals, historic and economic, as well as recognition that not all policy in Beijing supported the effort to substitute the yuan for the dollar. TheNational Interest offered just such an analysis. Baudelaire said the devil’s best trick was convincing us he did not exist. China’s best trick might be convincing us its claims over the South China Sea do exist. Official rhetoric about its “indisputable sovereignty over the South China Sea islands” certainly sounds like a definitive Chinese position. And, of course, China occupies many islands in the area, its Coast Guard chases off foreign fishing vessels, and massive Chinese land reclamation projects provide new, persistent regional presence. But with the notable exception of the Paracel islands between Hainan Island and Vietnam, China has made no valid legal claim over the South China Sea. Instead, China’s official ambiguity appears carefully calibrated to produce international media coverage that proselytizes far more expansive claims than really exist. That popular narrative (like the perennial “fact” that it claims 80 percent of the South China Sea) helps China legitimate its increasingly assertive activity in the region without having to expand its legal positions in kind. Without those formal legal stakes, China has so far skillfully avoided painting itself into a strategic corner over the South China Sea with no need to militarily defend claims it has not actually made. 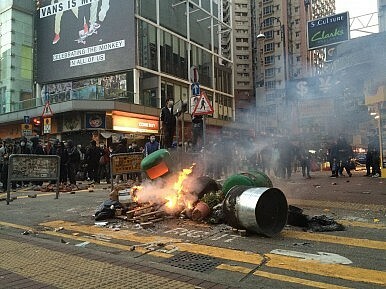 What started as a protest against a ban on street food vendors in Hong Kong turned violent overnight, with scenes on social media showing protesters clashing with police and setting fires in the streets. All told, 80 police officers and four journalists were injured, according to Hong Kong’s chief executive, and 54 arrests havealready been made. Protests began Monday night in Mong Kok, then turned sour early Tuesday morning, as police used riot gear and pepper spray and protesters threw objects at police lines. At around 2 am, one police officer drew his gun and fired warning shots into the air – which elicits an audible roar of anger from the crowd in this video fromHong Kong Free Press’ Kris Cheng. The use of gunfire sparked further protests (and further violence), which lasted into Tuesday morning. Note: This article is part of a two-part series examining changes to China’s Military organizational structure and personnel. Part 1 examines what is known and unknown. Part 2 contains speculation as to changes that may occur in the future. Since Iran’s 1979 revolution, Tehran has seen attacks on the embassies of the United States, Britain and Saudi Arabia, and numerous demonstrations around other foreign embassies. The Islamic Republic is a dictatorial regime that systematically violates its citizens’ human rights. Most of the power is in the hands of the supreme leader, Ayatollah Ali Khamenei, who uses it ruthlessly. The questions have always been, does Khamenei support the attacks on the embassies? Does he view all embassies the same way? If he opposes the attacks, how has he treated the attackers? Has he punished them, or supported them? This article argues that while Khamenei has always publicly opposed the attacks, he has always supported the forces that commit such attacks. History is synonymous with turbulence; but even by its troubled standards, the churn in a single century between 1857 and the 1960s was unprecedented. Every single empire—ancient, middling or modern—collapsed: Mughal, Chinese, Japanese, Ottoman, Iranian, Tsarist, Spanish, Habsburg, German, Dutch, Belgian, Portuguese, Italian, French and British. Strategic stability, always a tenuous reality, went into a spin as post-empire and post-colonial states had to find new equations, not only with old masters but also between themselves and within themselves. Great empires linger on their deathbed, and it is difficult to pinpoint the precise moment of decline. There are few disputes however about a death rattle. Since the 1980s China has been busy transforming its amphibious troops into a force very similar to the U.S. Marine Corps. The most recent bit of emulation was a late 2015 marine exercise in the northwest (Gobi Desert). Training for operations far from the sea is something the American marines been training for and doing since the 1960s. Another new Chinese development is, as recently revealed in a photo, a proposed 40,000 ton LHA (helicopter carrier). In 2014 the United States put the first of its latest LHAs into service. The eleven America class LHAs are big ships (45,000 tons, 257 meters/844 feet long) and, like all other American amphibious assault ships, look like small aircraft carriers. But the Americas are larger than earlier LHAs and have no well deck taking up lots of space in the stern. The Americas have a crew of 1,050 and carry 1,600 marines as well as 32 aircraft (helicopters, V-22s, and F-35Bs). The reasoning behind this design is that the proliferation of anti-ship missiles makes it too risky to get close enough for landing craft. So now it’s back to LPHs and longer range transports like the V-22. The Chinese seem to be planning some of these LHAs as well, which would enable them to also emulate the American ESGs (Expeditionary Strike Groups). The main fighting element of the ESG is a battalion of marines supported by a helicopters squadron and a Service Support Group. All of these travel on three amphibious ships (an LHA, LPD, and LSD). The rest of the ESG consists of warships (usually a cruiser, a destroyer, a frigate, and an attack submarine.) Supporting firepower comes from cruise missiles and some 127mm (five inch) guns on the cruiser and destroyer plus attack helicopters. 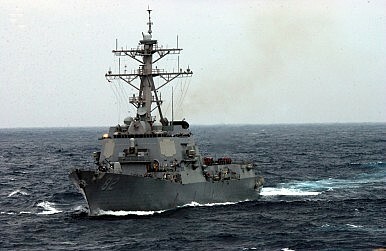 The American first ESG went to sea in 2003. Each ESG is built around a battalion landing team. This consists of one marine infantry battalion, an artillery battery (six guns), an armored car company, a platoon of M-1 tanks, an amphibious assault platoon (operating armored amphibious vehicles), an engineer platoon, and a recon platoon. In all, over 1,200 troops plus helicopters and landing craft from the amphibious ships, along with their troops. Should such experiences be reserved only for men? What does North Korea’s decision to stage a nuclear test and the launch of a space launch vehicle (SLV) a month apart in early 2016 tell us about where things stand domestically inside the country? To be sure, both events are intended to test technologies the regime attaches great importance to, but, in North Korea, nothing of this sort is scheduled without consideration of the broader political effects. “Politics” in the North Korean context, of course, means something very specific: it refers primarily to Kim Jong-un’s agenda of still-ongoing power consolidation and implementation of the byungjin policy of simultaneously pursuing economic development and a nuclear deterrent. It’s notable that in this year’s New Year’s address, Kim placed a special emphasis on improving the economic lot of ordinary North Koreans. 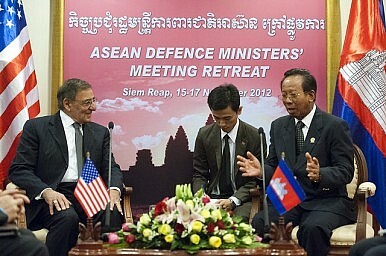 In fact, he managed to explicitly avoid any direct reference to the country’s nuclear program. I found that surprising at the time, given suggestions in 2015 that the United States and China had come to some sort of understanding on North Korea’s byungjin stance—surely Kim couldn’t have missed an opportunity to underline his signature policy on the occasion of the new year? 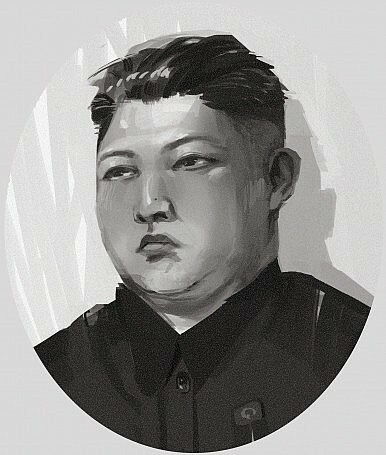 It was, after all, his response to his father’s songun, or military-first, policy that caused untold economic damage to the country, persisting to this day. Kazakhstan still finds itself situated awkwardly between two long-time allies: Russia and Turkey. Up until late November 2015, when Turkey shot down a Russian fighter jet it claimed violated its territory, Russia and Turkey were allies too. Now, Russians won’t be vacationing in Turkey any time soon and Turkish businesses in Russia are facing a difficult yeardue to sanctions. Few hope for a quick return to the status quo between Ankara and Moscow. Meanwhile, Kazakhstan remains quietly between the two former friends now slinging accusations at each other. To illustrate Kazakhstan’s bind, just look at President Nursultan Nazarbayev’s recent engagement schedule. On February 6 he hosted the Turkish Prime Minister Ahmet Davutoglu in Astana. Nazarbayev lauded Kazakh cooperation with Turkey, particularly regarding the Turkic Council. “Turkey is very important for Kazakhstan, and we will never stop our cooperation policy,” Nazarbayev said. As U.S. presidential candidates attempt to articulate a vision of U.S. global leadership, how should the next U.S. president frame the future of U.S. foreign policy? Want to Buy a Nuclear Hardened Bunker? Here’s One for Sale in Northern Ireland. Come one, come all. A former UK government nuclear bunker in Northern Ireland is now up for sale. For an article about the sale and lots of photos of the interior of the site, click here. At first glance, North Korea’s launch of an Unha Space Launch Vehicle (SLV) on February 7, 2016, looks very much like a repeat of its successful launch a little over three years ago. In fact, a close examination reveals that the North appears to have used some stock footage of the 2012 launch in its announcement this time around. But there are also images of a rocket launching from the new gantry that North Korea completed only last year. Moreover, the US Joint Space Operations Center (JSpOC) has released the orbital elements of two new bodies in stable orbits, with the identifiers “KMS-4” for the Kwangmyongsong-4 satellite and “Unha 3 R/B” for the launch vehicle’s upper stage rocket body. In short, this is not a hoax. Images of the rocket departing the launch pad indicate an overall length of about 30 meters, the same as the Unha-3 rocket from North Korea’s 2012 launch. To the extent that we can tell from low-resolution images, the shape and the engine exhaust plumes are also nearly identical. North Korea did politely tell the mariners and airmen of the world where to expect the expended rocket stages to fall, and these also match the 2012 launch. The satellite itself is in a very similar orbit to 2012. While many had expected North Korea to debut a new and larger rocket, and the new launch pad was clearly built for a larger rocket, that launch is still in the future. North Korea might call this new rocket an Unha-4, but it is almost certainly an Unha-3 with, at most, minor modifications. South Korea believes that North Korea was behind a recent Cyber War campaign seeking to get into South Korean nuclear plants. Currently 22 percent of electricity in South Korea comes from nuclear plants (compared to 20 percent of the American electricity and 74 percent in France.) This attacks was traced back to servers in northeast China, which is a technique North Korea has used before. South Korea is trying to persuade China to crack down on North Korean hackers using servers in China. South Korea is a major supplier of nuclear power plant components to China and recently sold China a complete nuclear power plant. So far China has refused to crack down on the North Korean hackers even though China is mad at North Korea for defying China (about nuclear weapons and ballistic missiles). The recent North Korean attack also used a relatively new method of getting past security. This is called smishing because it is a two-step process similar to phishing. What both of these methods have in common is the exploitation of human error. This is frequently used for attacks via Internet against specific civilian, military, and government individuals using psychology, rather than just technology. Phishing is often carried out in the form of official looking email, with a file attached, sent to people at a specific military or government organization. It is usually an email they weren’t expecting but from someone they recognize. This is known in the trade as “spear fishing” (or “phishing”). The attachment, if opened, secretly installs a program that sends files and information from the email recipient’s PC to the spear fisher’s computer. 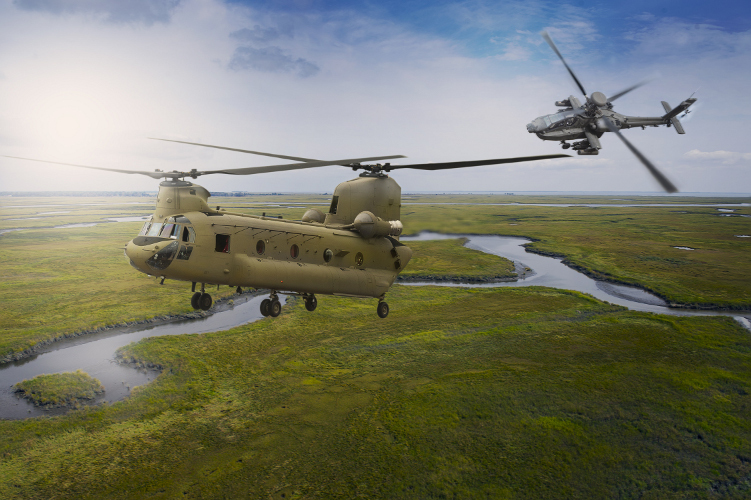 In the last few years an increasing number of military, government, and contractor personnel have received these official-looking emails with attachments and asking for prompt attention. Liftoff of the United Launch Alliance vehicle is targeted to occur at 3:39 a.m. local (6:39 a.m. EST; 1139 GMT). There is a 100 percent chance of allowable launch weather both Wednesday and the backup flight opportunity on Thursday. The mission originates from the storied Space Launch Complex 6, the site once constructed for the Manned Orbiting Laboratory space station in the 1960s and the Air Force’s West Coast space shuttle program in the 1980s. Both were cancelled before a single launch. But today it is home to the Delta 4 rocket, which will fly from Vandenberg for the sixth time and carry a classified payload into orbit for the National Reconnaissance Office. The NRO is the secretive government agency responsible for the country’s fleet of spy satellites, operating electro-optical imaging, radar-imaging, eavesdropping and naval surveillance spacecraft and data-relay birds for persistant overhead intelligence-gathering. Rory Cormac. Confronting the Colonies: British Intelligence and Counterinsurgency. London: Hurst and Company, 2013. ISBN: 9780199354436 (hardcover, $50.00). Author’s Response by Rory Cormac, University of Nottingham 18© 2016 The Authors. The NATO alliance is treating Poland and other allies in the region like a buffer zone, refusing to permanently station troops there and hence provide the same level of security that has long been accorded other allies to the west, according to a Polish official. Such undiplomatic comments weren’t those of a low-level functionary in the Polish Defense Ministry, or even the anonymous remarks of a “senior official.” Rather, they were the very public words of Andrzej Duda, the recently elected president of Poland. Unfortunately, major obstacles—political and economic—stand in the way of NATO establishing permanent troop concentrations in Poland or elsewhere in Eastern Europe. Nevertheless, Duda’s comments and his relentless, vocal pursuit of permanent NATO forces on Polish soil mean that, by diplomatic standards, the upcoming NATO summit in July is likely to be downright riveting. This summer, the presidents and prime ministers of the alliance will gather in Warsaw—on Duda’s turf—to engage in yet another NATO summit. As they did at the last summit, in September 2014 in Wales, alliance leaders will wrestle with the fact that Russia’s illegal annexation of Crimea and its invasion of eastern Ukraine have fundamentally upended the security situation in Europe. Thailand is currently under the strictest military regime the country has seen since the early 1970s, an era when China-backed communist guerrillas threatened to overthrow the established monarchy-military symbiotic order. Despite rising controversy surrounding the current National Council for Peace and Order (NCPO) junta’s heavy-handed rule, it’s a military regime that will likely remain in power for the foreseeable future. To understand the present and project into the future, it’s important to understand Thailand’s recent past. 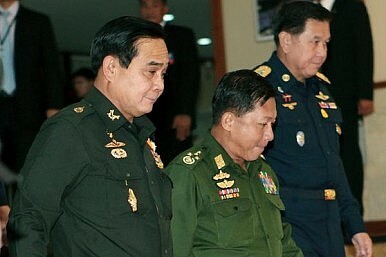 The 2014 military coup marked the crescendo of anti-government street convulsions, staged initially against an amnesty bill that would have paved the way for the criminally convicted self-exiled former prime minister Thaksin Shinawatra to return to Thailand a free man under his younger sister Yingluck Shinawatra’s elected government. Those protests later morphed into broad, if not vague, calls for cleaner governance, an end to corruption and an overhaul of democratic politics. The street protest-enabled coup, rather than an answer to a popular reform call, was clearly orchestrated by royalist elites to ensure that top generals, rather than squabbling politicians, are in control at the time of what many view will be a delicate royal succession. 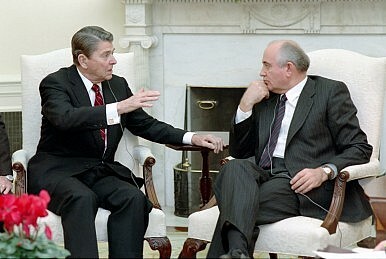 “Trust, but verify.” This phrase, once cited by President Ronald Reagan in the context of 1980’s arms control agreements with the Soviet Union, has come to define the international community’s approach to developing arms control treaties and agreements. From its earliest efforts at arms control in the midst of the Cold War, the United States has weighed the degree of verification intrusiveness it could accept on its side against the verification uncertainty it could tolerate on the other side. The goal today, as it was then, is to employ verification solutions that are powerful enough to reliably detect and deter would-be cheaters, without compromising our own security. These verification regimes form the backbone of arms control treaties and agreements. For example, the New START Treaty text is 17 pages long, but annexes that cover the monitoring and inspection procedures, and define the measures necessary to ensure compliance and stability, contain more than 350 pages.